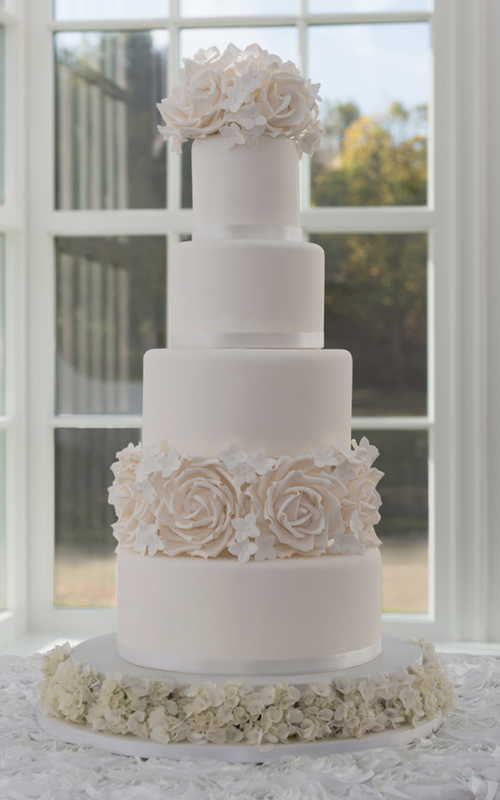 Vintage wedding cake design – A modern twist on a classic vintage wedding cake. 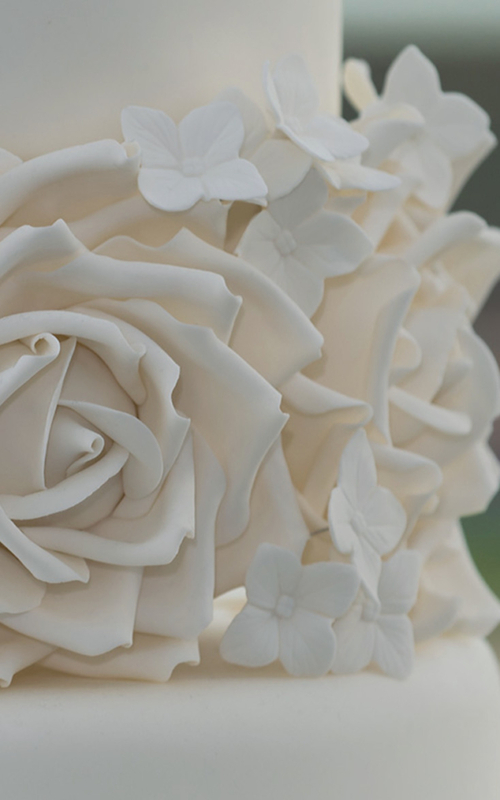 In contrast to the simplistic contemporary tiers, realistic sugar roses and hydrangeas adorn this cake to give it a vintage feel. 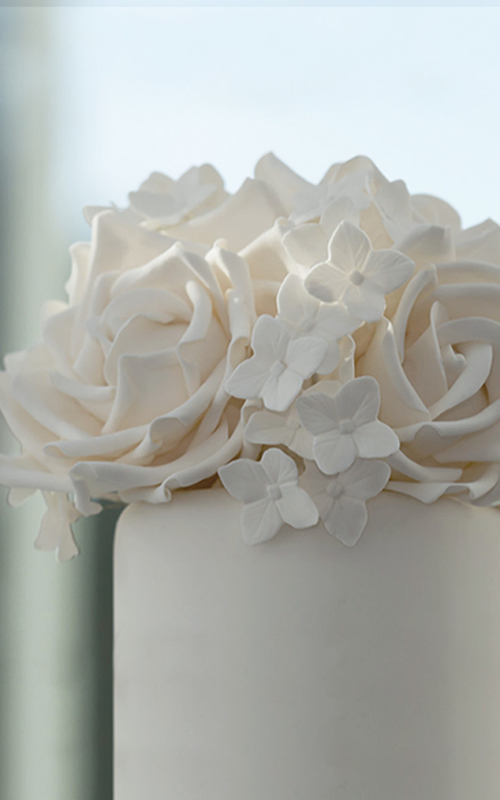 The cake sits on a fresh floral stand to further enhance its style.